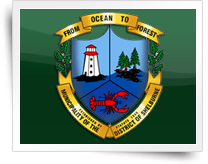 The Footbridge trail head is a small parking area located in the Sable River Volunteer Fire Department's yard. 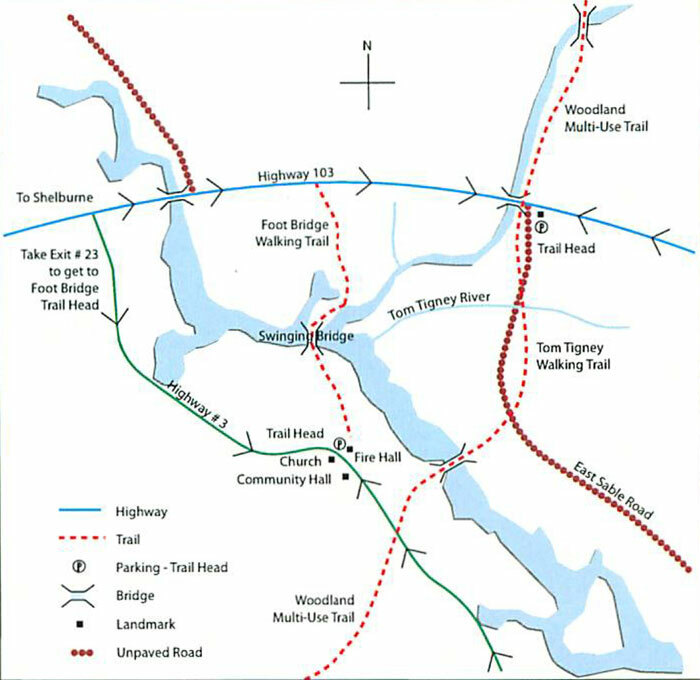 From the trail head walkers follow the signs that lead them to the footbridge or swinging bridge, across it, and along the Freeman’s Mill Road where it ends at Hwy 103. It is neat to experience the swinging movement under your feet as you cross the bridge. 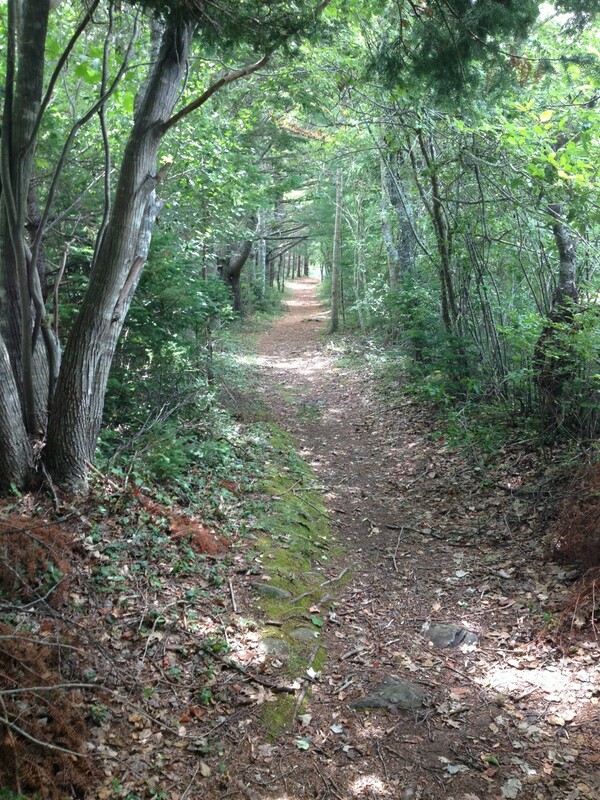 A major portion of the Foot Bridge trail has been used by the Sable River community for over a hundred years and is known locally as the “footpath”. A truly unique experience and a great way to spend a day! 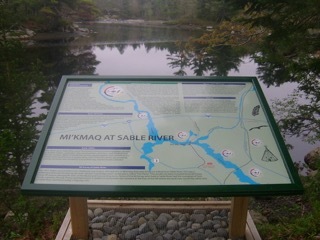 In the summer of 2015 the Mi'kmaq at Sable River interpretive panel was placed at the footbridge bridge to highlight the importance of the site and Sable River in general to Mi'kmaq history. Stop and spend a few minutes at the picnic table and take in the fabulous view from the riverbank and from the bridge. NOTE: The Foot Bridge is temporarily closed due to safety reasons.